Africa Youth and Talent Summit heads into its 3rd year after a successful 2017 & 2018 edition that saw over 1,000 attendees majorly from Africa countries including, Ghana, Kenya, Nigeria, Somalia, Togo, and Zimbabwe and had a global online reach of 2 million. The annual Summit is arguably Africa's largest Youth and Talent Development Platform. The summit returns to Nigeria on 20th July 2019. 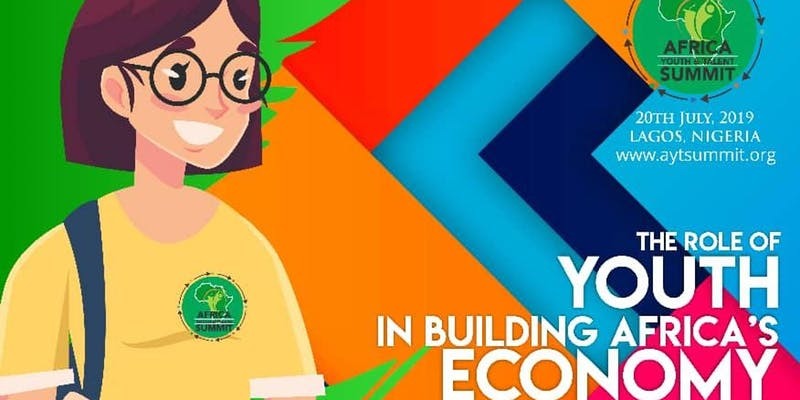 AYTS week-long programming focuses on youth, personal development, ideas, trends, insights, business agriculture, and best practices to transform communities across Africa. The theme for 2019 is The Role of Youth in Building Africa's Economy. The summit will feature A-list facilitators and panelist from across Africa. Conference programming accesses an on-site attendee pool of over 1,000 young Africa thought leaders with an additional online reach upwards of 4 million people worldwide. - A certificate is $15 and optional. Some of AYTS most memorable moments happen outside the summit environment. We have created AYTS NETWORK GHANA, AYTS NETWORK KENYA, and AYTS NETWORK NIGERIA to sustain the impact of our summits. What is the Purpose of the Summit? To educate youth with skills for continental development across sectors of the Africa economy. -To unite Africa’s youth towards building a strong relationship for continental growth through ideas shared from the summit. – To present a positive development framework to the AU countries, ministries of youths government and public universities within the continent. – To learn from renowned and qualified experts on various career development for the betterment of our continent. What is the official language of the Summit? The official language for the summit will be in English. However, we will have translators for other major tribes.